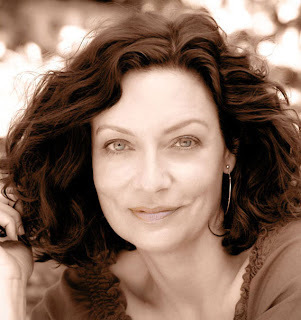 Victoria Foyt is an author and filmmaker. Her debut novel, The Virtual Life of Lexie Diamond, released in ’07 by HarperCollins, is a Young Adult coming-of-age mystery thriller. It achieved excellent critical reviews, including a five star, “must-read” rating from TeansReadToo.com, and was recommended by the Center for Children’s Books. Save The Pearls Part One REVEALING EDEN is a Young Adult, post-apocalyptic, science-fiction romance novel that deals with beauty and race will be released late fall 2011. During her film career, Victoria co-wrote and starred in four critically acclaimed feature films, Going Shopping (2005), Déjà Vu (1997), Last Summer in the Hamptons (1995) andBabyfever (1994), which were helmed by indie film director Henry Jaglom. She also co-wrote Festival in Cannes (2001) and appeared in Venice/Venice (2002). She also has written articles for O At Home, Harper’s Bazaar, and Film & Video. AFI’s Directing Workshop for Women awarded Victoria a place in its coveted program in 2002, which led her to write and direct a critically acclaimed short film, The Sweet Spot, starring Jennifer Grant and Carl Weathers. Variety critic Scott Foundas called it “a deliciously funny satire,” and the film played on PBS on Hollywood: Fine Cut, as well as at many major film festivals. My parents moved us from Abington, PA, where I was born, to Miami, FL, when I was just a baby. I grew up there and moved to Los Angeles in my mid twenties. Now, I live in Santa Monica, a sunny, pretty coastal town that I love. Some authors excel at crafting entertaining or thrilling stories but put less emphasis on voice, while others write evocative, deeply moving prose at the expense of plot. Rarely do I find both beautiful prose and engaging story in a perfect gem of a book, unless the author is Isabel Allende. Her novels such as The House of Spirits, Eva Luna, A Portrait in Sepia and her young adult trilogy, City of Beasts, are both wonderfully engaging and beautifully written. I’ve read nearly everything she has written, each book is a master class. It was an indescribable thrill, both when HarperCollins bought my first novel, The Virtual Life of Lexie Diamond, and when they sent me an advanced copy. I will never forget the quiet gratitude that filled me when I opened the package and saw the bright blue dust jacket, the unique font of the title, and my name on the spine. The journey from voracious young reader to published author, though long and full of hard work, has been satisfying and perhaps, just as important as the destination. What was one of the most surprising things you learned in writing Save the Pearls Part One REVEALING EDEN? One of the great gifts of being a writer is what your characters have to teach you about life and yourself. Eden Newman, the seventeen-year-old protagonist, lives in a world where love is dead and evolutionary climbing is all that matters. Because her white skin brands her as a Pearl, she’s considered ugly and undesirable. In creating her, I stole bits from myself and came to realize that I, too, needed to open my heart to love and stop judging myself based on my appearance. It was such a great journey to take her from this oppressed girl to someone who is willing to embrace everything, her strength, her inner beauty and even, love. And Ronson Bramford, who initially comes off as a greedy titan but who really abhors the destruction to the environment, might beg us from his perch in the future to stop depleting the ozone level with pollution. “Just read our story,” he might say. “And you’ll see how the increased effects of solar radiation eventually may turn everything upside down that you take for granted about beauty and society. Dark-skinned people like me, with our extra melanin in our skin, will have an edge, while Caucasians will be an extreme disadvantage. Racial enmity will only increase, and the world will be a bleak, lonely place. If you could introduce Eden & Ronson to any character from another book, who would it be and why? Most definitely, Eden and Ronson would profit from the acquaintance of another relationship that is beset with misunderstandings. I’m thinking of Scarlett O’Hara and Rhett Butler in Gone With The Wind, or Maddy Timms and the duke of Jervaulx in Laura Kinsale’s beloved romance, Flowers From The Storm. They all share a deep attraction that must overcome deep prejudice as well as the fundamentally different ways in which women and men communicate before they can find true love. Sadly, the self-involvement and stubbornness of Scarlett and Rhett ultimately prevent their success, while Kinsale’s pair triumphs. Between those two extremes, Eden and Ronson might learn to navigate their romantic trials. What’s one thing that readers would be surprised to find out about Eden Newman? Despite her feisty character, she lacks confidence. Having grown up on the edges of society as an oppressed, lowly Pearl, she lacks confidence in not only her looks, but also what she knows to be true. She second-guesses herself simply because she’s desperate to be accepted. She longs for someone to see the “real Eden,” and yet she harshly judges herself on her appearance. Only when she learns to accept herself can she truly accept and give love. The seed for Revealing Eden was planted in my mind one day in elementary school. One day, while waiting for my mother to pick me up, a boy leaned out of the window of a departing bus and hurled a racial slur at me. It wasn’t even the right race for me! But it stung, all the same. With my wildly curly hair and prominent features, I didn’t look like the rest of the blond, blue-eyed girls, and I guess that frightened him. Perhaps because of that one incident, or maybe because I looked different, I never felt beautiful. I focused on developing my mind and told myself I didn’t care about looks. Years later, when I starred in several indie films, I was flabbergasted to read reviews that praised my beauty. To this day, I never have understood why appearance often matters more than character or intelligence. In Revealing Eden, I wanted to create a world where environmental chaos turns today’s prevailing beauty standards upside down. Eden Newman would be considered gorgeous in our day. In the novel, she has to beg for a mate. Finally, forced to discover her inner beauty, her heart opens true love. Eden must spend the night alone in the jungle with Bramford who takes a mind-tripping potion of herbs in order to heal his wounds, both physical and emotional. In the process, he unwittingly reveals things that both open Eden’s heart, and devastate her. It’s a highly emotional scene, which takes a rollercoaster ride to unexpected places. 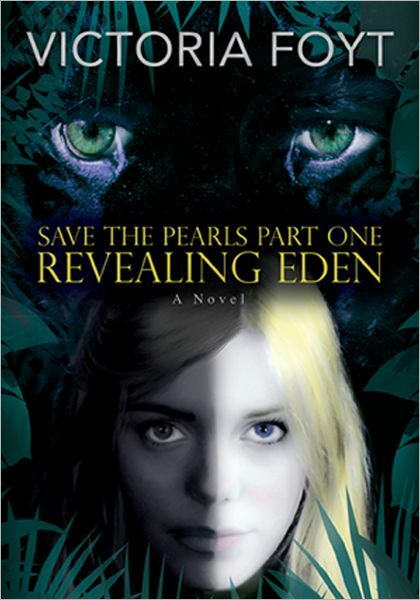 I’m currently writing Save The Pearls Part Two Adapting Eden. If Eden Newman thought life and love challenged her in Revealing Eden, the stakes ratchet even higher in the next. Her journey takes her from oppressed, fearful girl to an alpha babe, or Jaguar Babe. She must fight to save those she loves against impossible odds, testing herself beyond her limits—in love and physical strength—while the countdown to humanity’s extinction continues. I’ll tell you, it has been a wild, exciting ride to be in her head! Do you wish you’d started writing novels in your teens or twenties? I often ask myself this question. Looking back, I see that the path I took from studying foreign languages and literature in college, to acting in, writing and directing films afterwards, all provided key tools I would need as a novelist. Meanwhile, I was accumulating invaluable life experiences and insights, in other words, my own take on the world, which gives a writer his or her “voice.” By the time I started my first novel in my thirties, I was ready to fly and I haven’t stopped since. “I wanted to see what you were capable of,” Bramford replied matter-of-factly. If? That one little word stabbed her heart. She felt like a jilted bride, abandoned at the altar. What happened to his promise of accepting her no matter how beastly she’d look? You’ll be even more beautiful to me because you’ll be mine. “You should have thought of that before I adapted,” she said coolly. She roared at him, and baring her teeth, lunged for his neck. His yelp sounded more surprised than hurt when she broke the skin and tasted blood. Her nails raked down his back. With a terrific growl, he threw her towards the embankment. She caught the furious gleam in his eye and scrambled up the shore. He was fast upon her, catching her ankle like an old time cowboy lassoing a wild filly. Down she fell, her face mashed in the wet sand as he dragged her to dry land. Snarling, she swung hard and hit her mark. Red welts scratched his calf. He eyed the damage then jumped on her, pinning down her arms and legs. “That’s obvious.” She averted her face. She never wanted to see him again. Never feel the heat of his body against hers. The fight drained out of her as disappointment took hold. Without a doubt, I’d love to write with William Shakespeare. It boggles my mind that after almost 400 years we still read and perform his works. I recently read Will In the World: How Shakespeare Became Shakespeare, by Stephen Greenblatt, because I’ve always wondered at the Bard of Avon’s prolificacy, deep understanding of human nature and archetypes, as well as his unique ear for dialogue and gift for storytelling. During college, I studied in France and then in Spain and had the opportunity on weekends or breaks to travel by Eurail to many paces. It was such a carefree time, hopping a train, with very little money in my pocket, and nothing more than a satchel. One time I went with a small group of friends from Madrid where we were enrolled at the University to Cueta, in Spanish Morocco, a small town on the coast. I can still recall the exotic smells and tastes, and a young local boy who arrived every morning to guide us around the walled city. Shoeless, with 7 or 8 siblings, and an infectious grin, he wanted us to take him back to America. I wonder what became of him. Dark chocolate, with a high percentage of cocoa, at least 85%, though lately I’m loving Theo’s 91% bar. A good book, a bar of dark chocolate, my iPhone (it has a flashlight, something I used to always bring), and a big, flattering, scarf. The timeworn cliché of a slovenly, drunken writer is 180 degrees opposite from my approach. To me, being a writer requires an almost athletic discipline: clean body, sharp mind, and an open heart. At breakfast, I usually read a few newspapers because invariably, I’ll find something to use in my writing, either at present or in the future. Around 8:30 a.m., I climb the stairs to our guesthouse with a big mug of coffee in hand. I’ll meditate for about fifteen minutes to clear my mind of outside distractions; my writing computer is offline to keep them at bay. I usually set a goal of how many pages I hope to write or edit, depending on where I am in the story. I’ll usually quit by 1:30 p.m. to attend to business and family. Later in the day, I try to exercise because sitting for so long is hard on the body. And yet, those hours of writing go by in a happy blink! You can purchase Save the Pearls at these following retailers. Thank you Victoria & Matt for making this giveaway possible. 1 Winner will receive one Signed Copy of Save the Pearls, signed poster, and a Save the Pearls bracelet. As always a great interview and giveaway!! Thanks again love for this book s LOOKS good!!!!! I'm starting Halflings by Heather Burch! Thanks for this giveaway! I am reading The Dark Divine! I'm reading Across the Universe by Beth Revis, Mortal Kiss by Alice Moss and Tiger's Voyage by Colleen Houck!! Thanks for the giveaway Jean!! Thanks for the giveaway! Right now I'm reading The Game by Ken Dryden. Thank you so much for another great giveaway!! i am currently reading Exiled by Rashelle Workman. I am currently reading "Switched by Amanda Hocking".